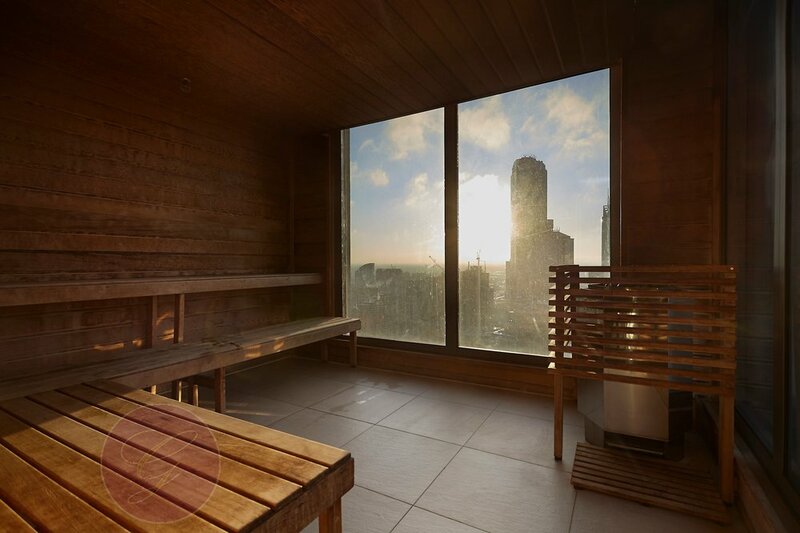 Our stunning 3 bedroom / 3 bathroom penthouse apartment at 1 Freshwater Place is ideally located in the heart of Southbank, on the Yarra River. 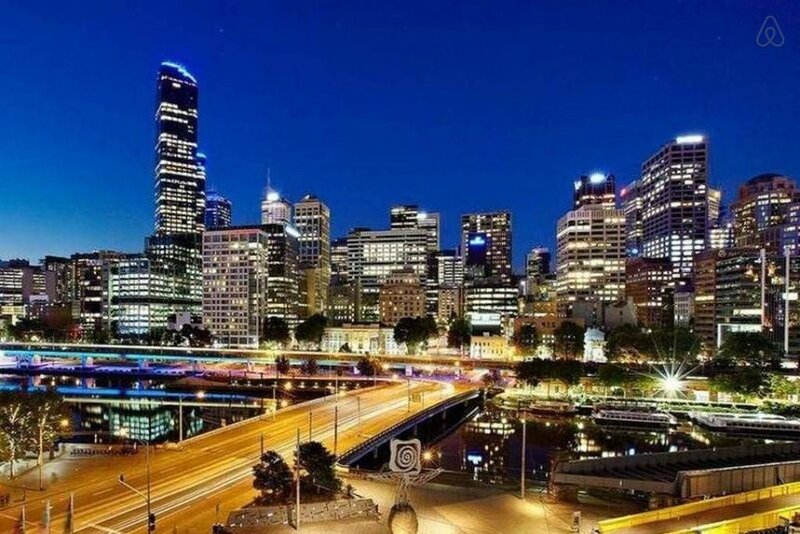 It is a seven minute walk to Melbourne Convention & Exhibition Centre, right next to Crown Casino, and a five minute walk to Flinders St Station. What’s so great about the bedrooms at our Podium Melbourne Penthouse Apartment? One of the things we love most about this apartment is the equal bedrooms. Each bedroom has it’s own bathroom. The main bedroom has an ensuite, and the other two bedrooms have a bathroom right next to them. There is a separate laundry, so each bedroom can truly have it’s own bathroom. Each bedroom also has the same amazing view and a balcony. We love penthouse apartments that don’t have a bad room. Have we mentioned the incredible view? 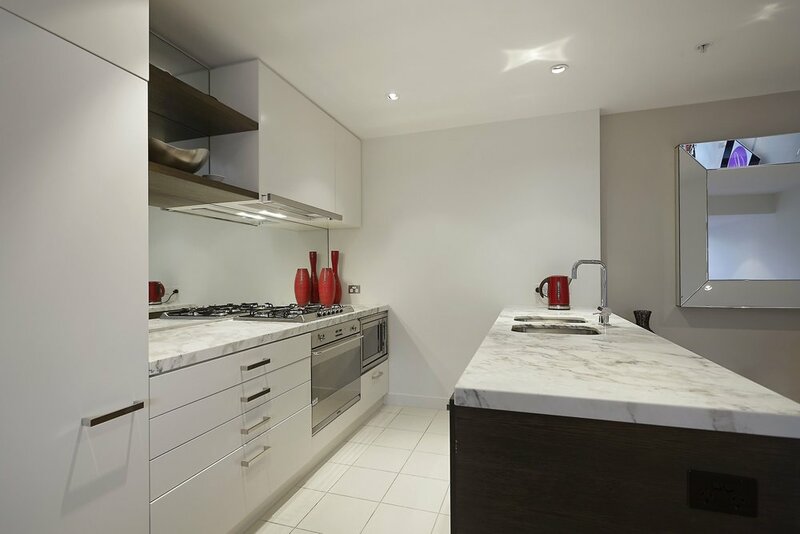 The kitchen & dining is located on the upper level, between two bedrooms. The lounge area is located on the middle level (6 stairs), and the third bedroom is on the lower floor (6 stairs). 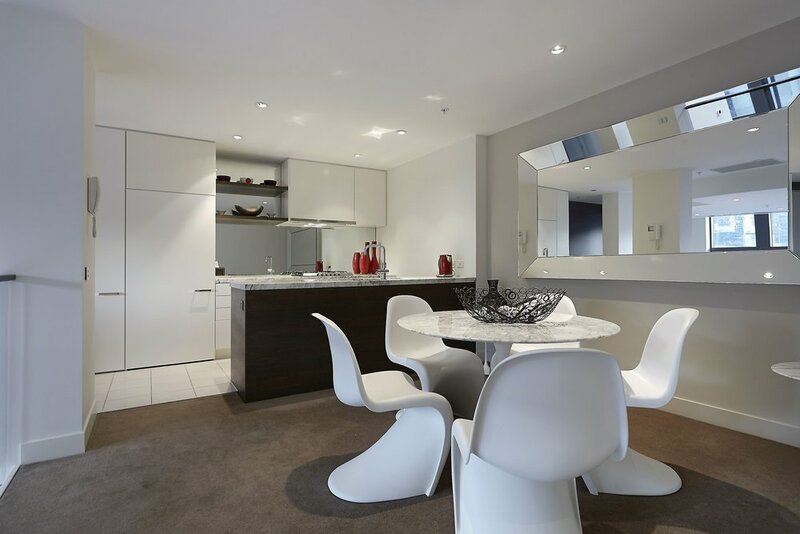 1 Freshwater place kitchen & dining, overlooking lounge area and that view! 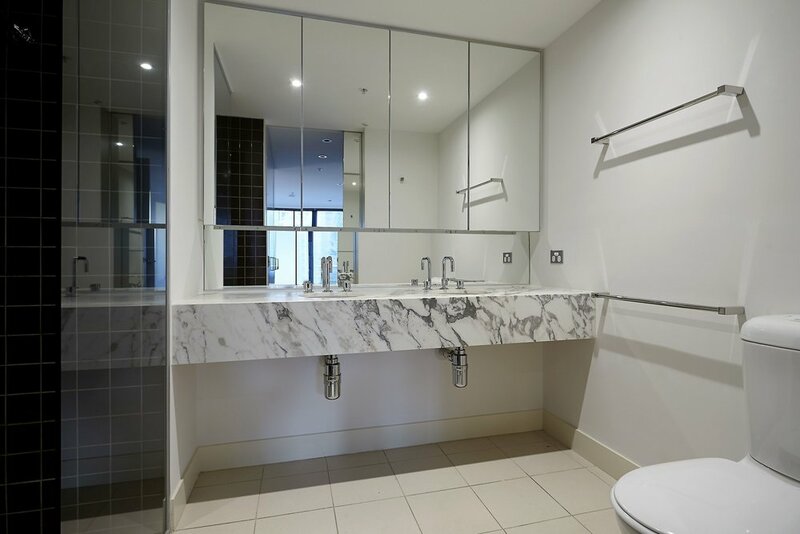 Freshwater Place boasts 6 star facilities. 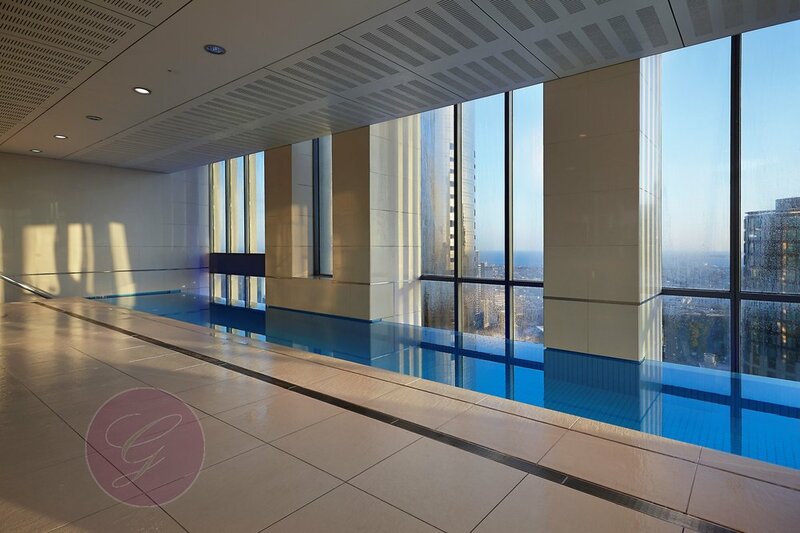 With this apartment you get access to the 10th floor facilties (swimming pool, spa, sauna, steam room, gym, garden and bbq area), as well as access to the Skyline club on the 40th floor which include another swimming pool, spa, sauna, steam room and gym. There are some restrictions around the facilities. Guests must complete a video induction and take their fobs to the concierge between 8pm & 10pm on their first night to have their fobs programmed for the duration of their stay.